The German Style Splitting Axe from Condor Tool & Knife features a forged 1045 high carbon steel blade with the Condor Classic finish for a rustic look. The 34" hardwood handle is made from American Hickory for maximum comfort and durability. 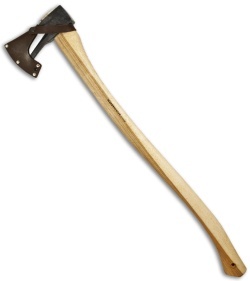 This Axe includes a heavy-duty protective leather sheath.